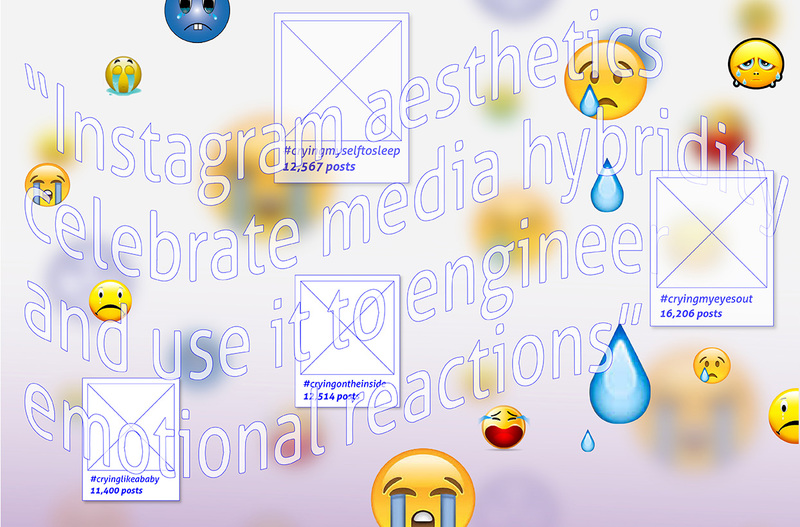 The abstraction inherent to neoliberalism has us constantly shifting between the real and virtual. The self moves among multiple spheres, perhaps in search of shared universals and a future other than alienation. In this essay, part of the Open! COOP Academy series ‘did you feel it?,’ Aarti Sunder looks at how the self negotiates continuously changing boundaries and what potential lies in the relational field. Changing neoliberal constructs are constantly redefining the form of capital and labour, leading to intensified abstraction and a sense of alienation, affecting the very idea of who (or what) we think we are – as a race, as humanity, as a future, as hopeful. While it may be a little difficult to chart out in absolute terms where we are headed, it seems certain that we have become selves oscillating between the virtual and the real in multiple spheres, who seem to negotiate the abstraction and alienation we feel, rather than accept it as an inherent contradiction. What do we do with the unshakable urgency to set right all that has gone horribly wrong? What do we do next? The crisis in the search for meaning is not new, though it has changed over the years as our perception of what we think identity or reason means has changed. With this comes a sense of hope that is purposefully and methodologically cultivated – again pleading toward the future for some answers, somewhere! The inexplicable need to find universals is also inherent to the sapient mind, and that is becoming more and more difficult to find.1 In their absence, we feel the need to ‘move beyond our boundaries’ to find ‘that (elusive) something else’: the globe as a single entity, consciousness as the other universal, identity, sapience, etc. But does such a thing exist? And if so, how does it manifest? 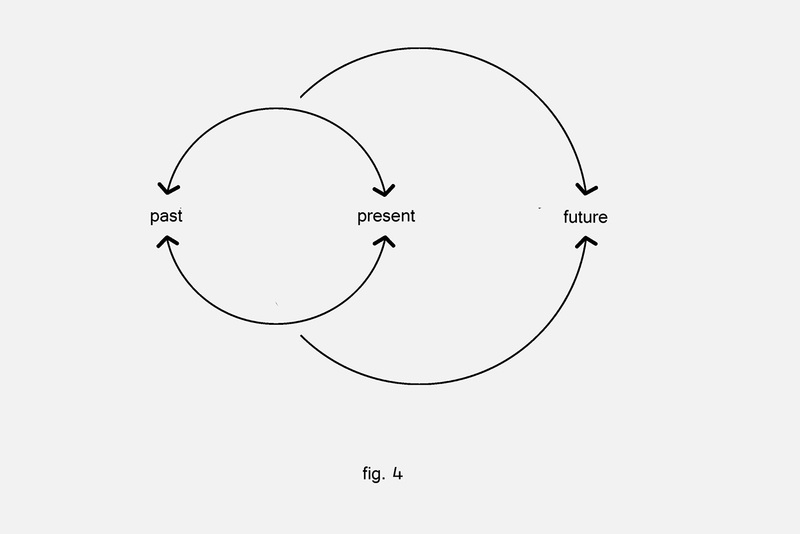 In order to de / re-territorialize the self / philosophies / the local it is essential to allow deterritorializing to be in the state of constant becoming that strengthens itself through imbibing other forms of being.2 One can argue that this process is happening regardless of whether we recognize it or not. But the essential variant lies in being able to negate the idea of the ‘normative’ itself. To understand that the Earth is irreducible, is to understand that there is no other Earth that we know of. A similar thing can be said of the irreducible One: it is to recognize that the simplest form of the universal is consciousness. That is to say that different forms of human / non-human have different complexities of that consciousness, just like simple life forms have simple environments and complex multiform entities have richly articulated environments. This consciousness, however, is the only unifying element among all living things. It is the only element that is able to assume multiplicity without endangering itself, a pluralism that exists within a unity. 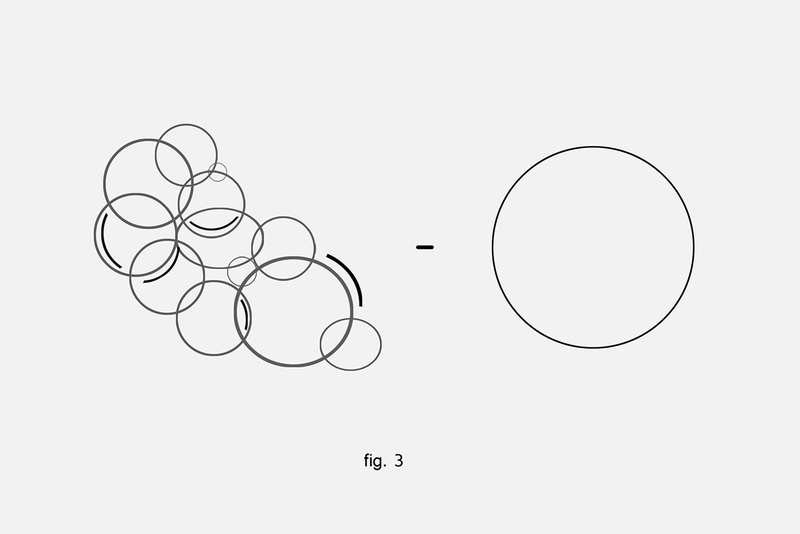 If we were to imagine a compilation of multiple spheres / circles that exist across time, geography and space, taken by various people with little or no knowledge of others, these circles would probably intersect at various points according to overlaps in geography, thought trajectories, etc. 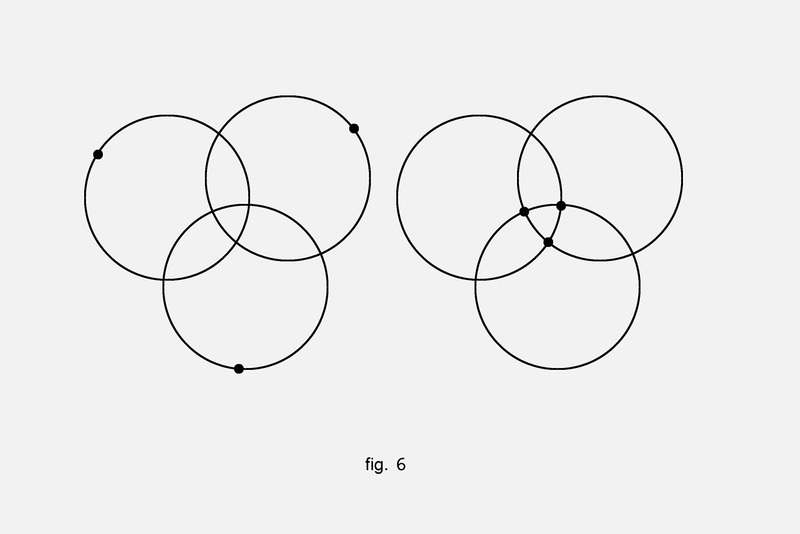 Where do these circles intersect and what happens at the intersection / s? The attempt is to open up, through the intermingling of these separate spaces / identities / thoughts, the uncanny overlaps that negate geographies, time, space and ideas of self. Can these overlaps be seen as a reservoir of potential so that each local territory of each actor extends to include multiple local territories of multiple actors? Taking off from becoming / subjectivity and their trans-individual affects still begins with the self, the relation of the self to the environment, to itself and other selves. What my self is going through is not unique by any standard. Rather, each self is the repository of all humanity, a self that arises from identity, from thought and from generations of experience. Thus the questions are: What is thinking? What is thought? What is consciousness? And what relation do time and place have in this? We are of the impression that time exists independently of us, that we exist in a stream of time and therefore it would be absurd to deny it: time is presupposed. Any thinking about the future involves thinking about time. Chronological time is essential for us to survive. We cannot but live according to days and nights, seasons and the effects of aging. Yet there is another time that is deeply a part of us as selves: the distance between the ‘is’ and the ‘should / want / will be’ and the labour that takes us toward it. Time’s arrow seems to be always pointing forward to a place ‘we’ must reach. How is this influencing our sense of self? How has time changed our understanding of sequence, cause, duration and chronology of temporality? And, more importantly, must we continue the process of becoming? Further, does a deterritorialized space involve time of another type, a more affectual register of what it means to become? To us sapient beings who are aware of having a conscious state, aware of the feeling of the feeling, our consciousness is the ability not to attend to many things in order to capitalize on our actions and direct them. Consciousness is actually subtractive: to be more aware of becoming, consciousness has to act on itself but has to do that by stopping itself. The aim is to somehow focus attention away from a centre, and redirect it to its peripheries. How does one reach that place where even the periphery is felt, but not focused on, that doesn’t presuppose a prior self that is constituted and that is aware? The thinker is the thought. There is no thinker without the thought. There is a slowing down of time when we observe and morph ourselves along with the thought that occurs. To morph is to change forms, shape and structure from the inside-out, and from the outside-in, simultaneously. Where attention is given to the flux, a spotlight is cast on the movement of thought, in pursuing the image that arises, and embodying that image while contorting the body. Like the job of the amateur scientist, the job of watching oneself in the process of flux is to watch what happens in between thoughts and in between movements, between the inner and the outer and the elaborate mimicry that is played out within their relations. Consciousness is making itself conscious of being aware of consciousness. In the figure above we see three solid dots whose orbit has been drawn out. 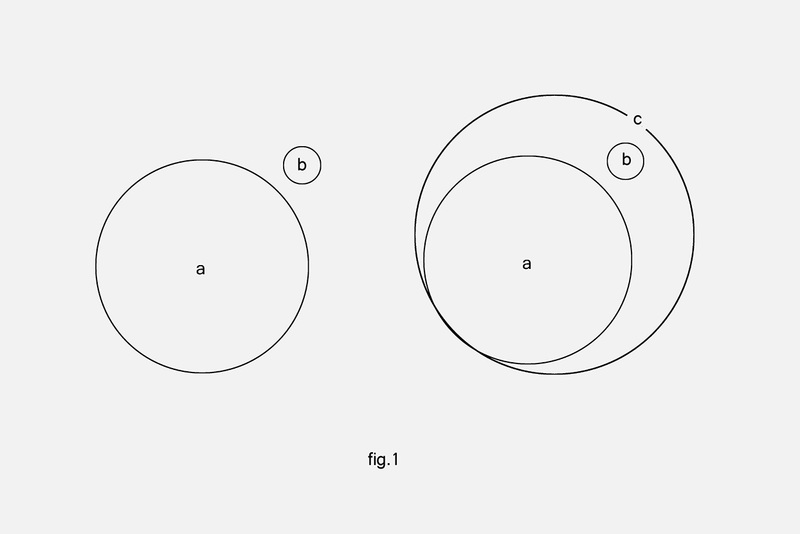 Each of these orbits contains a potential, which isn’t singular, but is born of its own relational field: the potentiality within its own constraints. Potential must always be a factor in relationships which means that there is always a margin of indeterminacy within a conversation / event / collaboration taking place, and it is this element of chance through which it is possible to realize potentials (by the relation to where it falls and to what else is happening around it). That is, by extending a point’s own relational field and banking on that potential within its own constraints. This potential, however, cannot be totally controlled, nor is it conditional. At best there is a setting of the stage that might open up the space and time for the overlap to take place, but the actual meeting is based on chance and the intuition for how to create this chance event. The anticipation of that overlap itself is highly temporal in nature. 1. Labour, as per Marx’s definition, was the first most widely accepted form of a universal – almost the original universal. With the changing forms of capital, labour cannot be understood in its solely traditional sense – something Marx never accounted for as a result of his time. 2. Deterritorialization is a stripping away of geography from culture / philosophy, and a simultaneous reconfiguration (reterritorialization) in relation to other places. 3. From notes taken during a class given by Brian Massumi, The Dutch Art Institute, Arnhem, June 2015. 4. Gilles Deleuze and Félix Guattari, What Is Philosophy? (New York: Columbia University Press, 1994), 67–68. 5. Gilles Deleuze, preface to Difference and Repetition (New York: Columbia University Press, 1994), xxi. 6. The present cannot be confined to a particular moment because it is always moving and is thus inseparable from the past and the future. There is only a point in and of time, which multiples into forming the illusion of the universal present. That is because everyone feels that ‘present’ as an innate part of themselves, irremovable from their own reality, as a part of their presence – if I feel it, then everyone must be feeling it. 7. 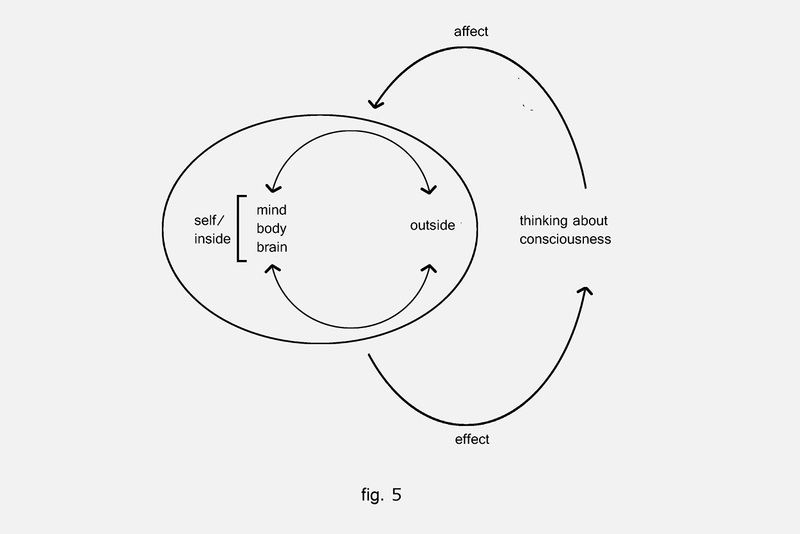 Jesper Hoffmeyer, Signs of Meaning in the Universe (Bloomington: Indiana University Press, 1996), 57. 8. 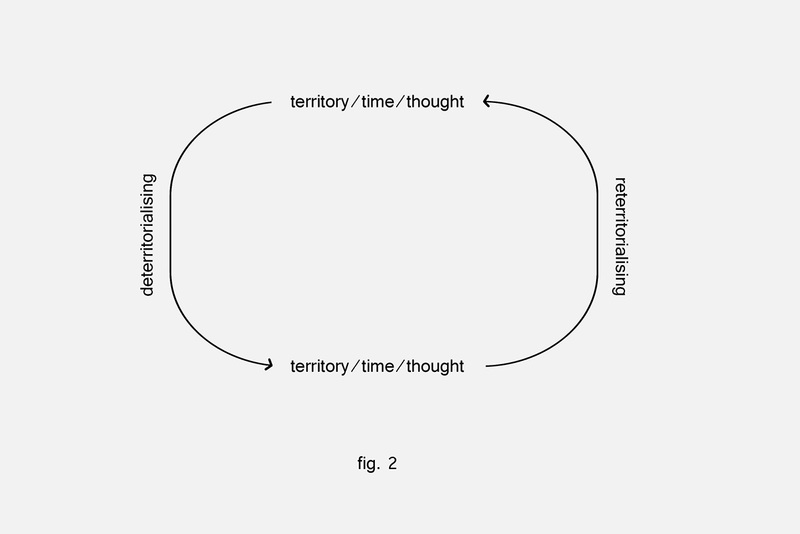 The final image (and the other images), show that nothing exists in isolation, but rather within its relationship with / to other things: the idea behind de / re-territorialization is that exactly. As with thinking about consciousness: It is a little difficult to talk about the coherence / universality of consciousness without using poetics / metaphors. In order to state something logically, there needs to be some kind of classifying register against which an idea / concept / thing can be ordered. In order to do that there must be something else to contrast it with; for example, we know a tree is a tree because it is not a table. It is impossible to know one thing without knowing the other because ‘in order to have a box, there must be what is inside the box and what is outside the box.’ But when we come to what is fundamental to sentience, we have nothing else to compare it to. Of course there is non-sentience to contrast it with – but is that not a very simple reduction? When we consider being, this not only includes what ‘is’ but also ‘is not’ as the space that encompasses it. And these two go together; they cannot be separated. Aarti Sunder is interested in ideas that create the subject: thought and the nature of being, territory, time, space, relationality and potential; how we relate to them; and how these ideas affect and make us. These forces of abstraction that create the individual become the form and the content of her practice through making or collecting or plotting. In 2015 she graduated from The Dutch Art Institute (DAI, MFA ArtEZ, Arnhem).